When you're at the Wonderland border, getting held up in customs can make you late for very important dates. 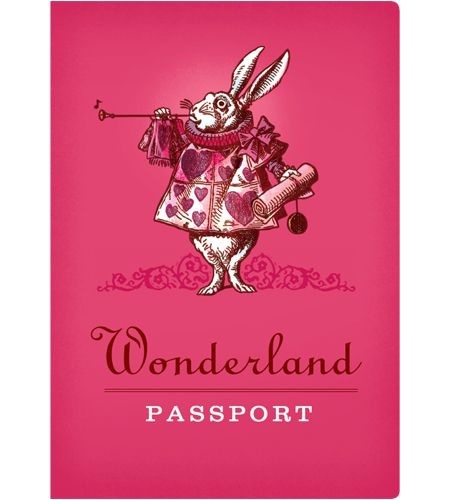 If you're fortunate enough to possess one of our Wonderland Passports, however, you'll sail right through and be playing croquet with the Queen in no time. 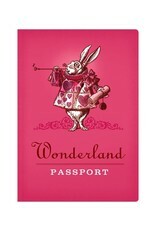 The Wonderland Passport looks and feels just like an official passport, but it's actually a handy and attractive notebook. It features an image of the White Rabbit on the cover, and includes useful travel tips from Lewis Carrol's imagination, such as "Tip #4: Begin at the beginning and go until you come to the end: then stop."